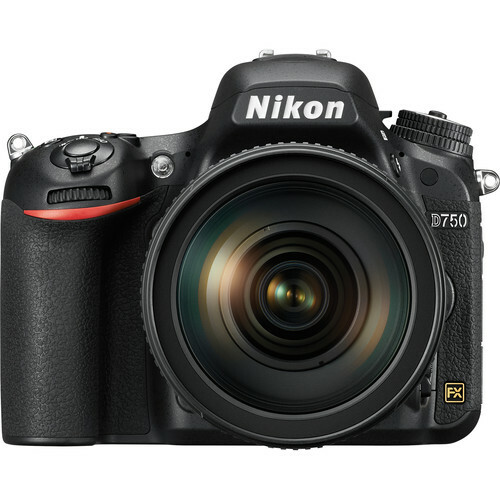 Nikon D750 DSLR is an FX-format camera which is well-suited to both still imaging and video recording. 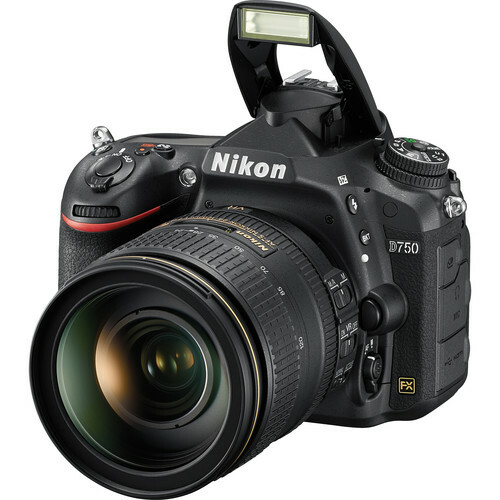 The 24.3MP FX-format CMOS sensor works in close collaboration with the EXPEED 4 image processor to produce rich image quality accentuated by low noise and notable sensitivity to a native ISO 12800, which is further expandable to ISO 51200. The EXPEED 4 processing power extends beyond still imaging performance to benefit Full HD 1080p video recording in multiple frame rates up to 60 fps. 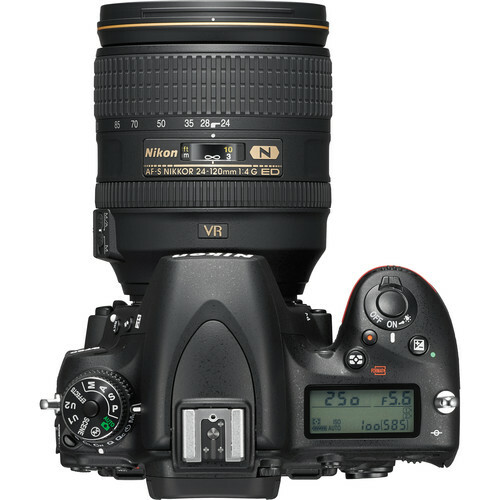 During recording, fully manual control is possible over shutter speed, aperture, and ISO settings, along with the ability to utilize Auto ISO adjustment in manual mode. when recording to internal memory cards. Simultaneous recording to both memory cards and an external recording device is possible for instant backup and duplication of files, and 2MP 16:9 still images can also be recorded simultaneously during video recording. 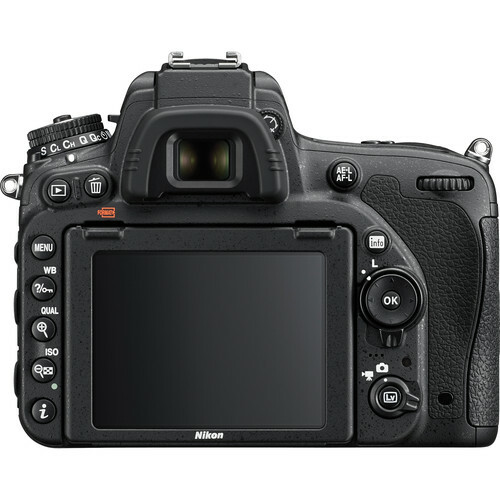 A large 3.2" 1,229k-dot LCD monitor is incorporated into the D750's design, and features a tilting design to benefit working from high and low angles. Additionally, the screen features an RGBW color array to enhance visibility in bright conditions, and can be custom color balanced to match additional external monitors.Dual SD card slots are available to extend file saving capabilities by permitting either overflow recording or in-camera file duplicating. 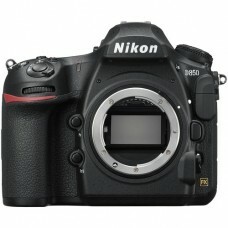 Additionally, optional HDMI-connected external recorders are supported for recording uncompressed video and time lapse sequences.Auto ISO sensitivity control allows you to select a minimum shutter speed at which camera shake can be controlled from and then will automatically set the ISO value in order to best render the scene. A maximum sensitivity level can also be set in order to maintain overall noise levels. 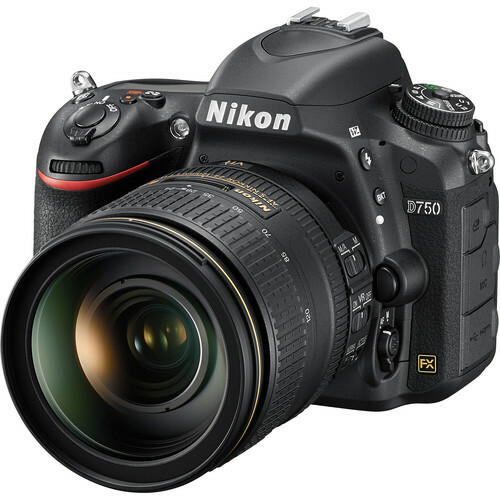 Furthermore, benefitting creative applications, the D750 supports in-camera creation of time-lapse movies with automated exposure smoothing, and a range of Picture Control profiles can be applied to refine the color and tonal handling of imagery.This Nikon DSLR camera provides 01 year warranty.